Erin is a 2L and proud double longhorn. Erin has traveled extensively throughout Central America and Europe. Erin spent a semester living in Barcelona where she worked for AirBnB and lived with a Catalonian family. During her 1L summer, Erin worked for Texas Law Alumnae, Judge Micaela Alvarez in the Southern District of Texas. Erin hopes to begin her career in Dallas working in business and commercial litigation. When not reading and writing, Erin can be found cuddling with her dog and online shopping. Sandra was born in New Jersey and moved to Austin, Texas with her parents when she was 6 months old. She has lived in Austin her whole life. She attended UT and graduated with a B.S. in Early Child Development. She then went straight into law school at UT. Sandra spent her 1L summer clerking at McGlinchey Stafford. Sandra is currently interning for Judge Davis in the Western District of Texas in a Bankruptcy Court. Outside of law school, Sandra likes to spend her free time playing sports and working with her kids in church. Grace Bowers hails from San Antonio, Texas and is a recent convert to Longhorn football. Grace received her Bachelor's degree in Psychology from Hamilton College in upstate New York. After graduating, she worked for two years out in the Bay Area in communications for technology startups. Grace spent her 1L summer working at Akin Gump Strauss Hauer & Feld in Houston, TX and is interested in technology and privacy law. In her free time, Grace enjoys tennis, true-crime dramas, and following dogs on social media. Tim Carney was born and raised in Winter Park, Florida. He majored in Economics at the University of Florida before attending Texas Law. He spent his 1L summer interning with the U.S. Navy JAG Corps. In his spare time, Tim enjoys traveling, watching college football, and weighing the pros and cons of getting a dog. Fabiola Casas is originally from McAllen, Texas but spent most of her childhood in Corpus Christi, Texas. She received her B.S. in Maritime Administration and Economics in 2016 from Texas A&M University’s marine-oriented campus in Galveston, Texas. After university, she worked at the port of Corpus Christi for a year before starting law school at the University of Texas at Austin. The summer after her 1L year, she worked as a Summer Associate at Clark Hill Strasburger in the Dallas area and as a Judicial Intern at the chambers of Judge Ricardo Hinojosa in the Rio Grande Valley. She enjoys spending time on Gulf Coast beaches, listening to live music in Austin, and cycling. Paige Cheung was born and raised in San Francisco, CA. She graduated from UCLA in 2016 with a major in Political Science and a minor in Asian Languages. She worked at at the Travis County Courthouse and Lloyd Gosselink her 1L summer and at the Office of the Texas Attorney General her 2L summer. In her free time, she enjoys baking, reading, and exploring the local food scene. Delanah was raised in Houston, Texas. She completed her Bachelor of Arts degree at Southern Methodist University where she majored in International Studies and minored in Anthropology. Prior to law school she worked in Madrid, Spain as an English language assistant. In her spare time Delanah loves playing with her toy poodle Penny and binge watching Netflix with her fiancé Quinten. Andrea was born in Fort Gordon, Georgia but grew up overseas most of her life in various countries. She went to the University of Texas at El Paso and studied "Psychology and Political Science. While in undergrad, she was manager of a family business. Last summer, she worked at the Texas Higher Education Coordinating board as a legal intern. She also worked as a judicial intern for Judge Montalvo for the Western District of Texas in El Paso. Outside of law school she loves to read and explore new things in Austin." Domenic was born in Dallas, Texas, but spent most of his childhood growing up in Chicago. Before coming to Texas Law, he attended Pepperdine University in California where he majored in Business Administration with a focus in Finance. During his 1L summer, Domenic worked for Jones Day in Dallas. In his free time he enjoys going for runs, reading a book, and relaxing with friends. Sarah was born in Canada, but grew up all over the world, moving from country to country every 2-3 years until she graduated from high school. Sarah attended The George Washington University in Washington, D.C. for her undergraduate studies, where she double majored in International Affairs and Spanish. During summer after her 1L year, Sarah worked for the Juvenile Services Program at the D.C. Public Defender Service, providing direct services to incarcerated youths. Sarah hopes to live and work in New York immediately after graduation, and she enjoys doing pro bono work and traveling. Sarah was born and raised in Wichita Falls, Texas. She graduated from Texas Tech University with a degree in Business Marketing before attending Texas Law. She split her 1L summer between Crady, Jewett, McCulley & Houren in Houston and the Texas Oil & Gas Association in Austin. Outside of law school, Sarah enjoys reading, running, painting, and watching college basketball. Emily Greenwood grew up in Sarasota, Florida. She attended the University of Georgia where she earned a degree in Journalism with minors in Sports Media, New Media, and Legal Studies. Emily spent a summer interning at Bradley Arant Boult Cummings in Nashville, Tennessee, before law school and worked in-house at JM Family Enterprises, a private Toyota distributor, during her 1L summer. Emily plans to pursue a career in M&A and private equity, but for now she spends her free time reading, watching the Dawgs play, and running with her hound puppy, Otis. Megan grew up in Springfield, MO. After high school, she moved to Brigham Young University where she graduated with a B.S. in Business Management with an emphasis in Organizational Behavior/Human Resource management. Upon graduating from from BYU, Megan made her way over to the Lone Star State for Texas Law. She spent her 1L summer at Maddrey PLLC, an art law firm in Dallas. Outside of law school, Megan enjoys spending time with family, visiting art museums, rock climbing, playing UT’s bell tower, and traveling. Karim Kebaish is from Vienna, Virginia. He received his B.A. in English and French at the University of Virginia. Before law school, Karim lived with lemurs in Madagascar for two years as a Peace Corps volunteer. Chelsi Levy was raised in Plano, Texas. She received her B.A. in Political Science at the University of Oklahoma. During her 1L summer, Chelsi worked at Haynes and Boone in their Dallas office. Outside of law school, Chelsi enjoys cheering on OU football, going to Zilker with her great dane, Mimosa, and spending time with her family and friends. Annie Lindsley was born and raised in Dallas, Texas. She received a B.S. in Human and Organizational Development and a minor in Managerial Studies from Vanderbilt University in Nashville, Tennessee. Annie continued to live and work in Nashville for two years before returning to her home state to attend the University of Texas School of Law. Annie spent her 1L summer working for the Sixth Court of Appeals in Texas. She is also involved with Texas Law Review and Texas Environmental Law Journal. In her spare time, Annie enjoys trying new recipes and hiking. Douglas was born in Houston Texas and graduated from Rice University in 2016 with degrees in Government and Spanish Literature. During college he studied in Argentina, Spain, and Cuba. After graduation, he spent a year working on a political campaign and in the Office of the General Counsel for Texas Governor Gregg Abbott. He spent his 1L summer interning for Justice Brown on the Texas Supreme Court. Outside of law school, he enjoys exploring new restaurants, running, and missing his golden retriever who is back in Houston. Daniel Michon is from New Hampshire and received his AB from Washington University in St. Louis with a concentration in international space law. Prior to law school, he worked as a court reporter in Washington, D.C., where he created transcripts and meeting minutes in a variety of legal settings. Daniel continues to study space law as a Brumley Next Generation Fellow with the Strauss Center at UT. Outside of school, he is an avid curler with the Lone Star Curling Club. Tori Newton was born and raised in McKinney, TX. She completed her bachelors at Texas A&M University where she double majored in Business Honors and Management and minored in Psychology and International Business. She spent her 1L summer interning with Andrews Kurth Kenyon in Houston. In her free time, Tori enjoys reading, running, and exploring new restaurants. Katelin Norris is a native Texan, born and raised in Houston. She received her B.A. in English at the University of Texas at Austin. Before law school, Katelin worked as a copy editor at Stratfor.com for 4 years and as an AmeriCorps literacy tutor for 1 year. Katelin split her 1L summer between Disability Rights Texas in Austin and Texas RioGrande Legal Aid in Mercedes. She loves reading, playing basketball, Barton Springs, and binging all the TV. Philip Reyenke is a 2L law student who hopes to practice international law. His interests include travel, outdoor activities, and playing the guitar. Elijah Roden grew up in Midlothian, Texas. He moved to Austin to attend The University of Texas, where he got his double major in Government and Rhetoric & Writing, and a minor in History. After graduation, he worked with crime victims at the Crime Victims Services Division of the Texas Attorney General’s Office. He spent his time working at the Consumer Protection Division of the Attorney General’s office and various in-house positions. Outside of law school, Elijah enjoys board games with friends, hiking with his dogs, and reading. Maddy Stein is originally from Randolph, New Jersey. She studied Government at Claremont McKenna College in Claremont, CA. During college, Maddy studied abroad in Thessaloniki, Greece. Before law school, she was a Fulbright Scholar in Budapest, Hungary where she researched migration in Europe at a thinktank. 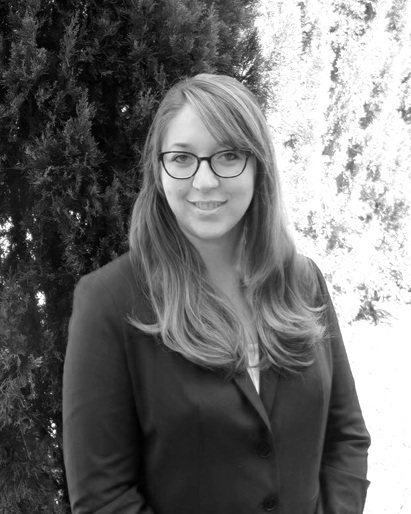 At Texas Law, Maddy is an advocate on the Philip C. Jessup Moot Court team. During her 1L summer, Maddy interned at the U.S. Attorney’s Office for the Southern District of Texas. In her free time, she enjoys skiing, barre classes, and watching Curb Your Enthusiasm. Savanna was born in Houston. She attended the University of Texas at Austin, where she received her BA in Philosophy. During her 1L summer, she worked researching foster care reform for Children at Risk. She spent her 2L summer researching issues in trademark law. Savanna is interested in continuing her studies in philosophy after law school. During her free time, she enjoys hiking, SCUBA, and improv comedy. Sabina was born and raised in St. Louis, Missouri. She graduated from Wesleyan University in 2014, where she double majored in Economics and History. She received a departmental prize for her honors thesis in History, "Conversions to Islam: Personal Narratives of Muslim Women in Durban." Prior to attending law school, Sabina worked as an Investment Management Paralegal at Ropes & Gray LLP in San Francisco. During her 1L summer, she interned for the Honorable Judge Ezra at the U.S. District Court for the Western District of Texas in San Antonio. Sabina loves to study languages, travel, and try new cuisines.